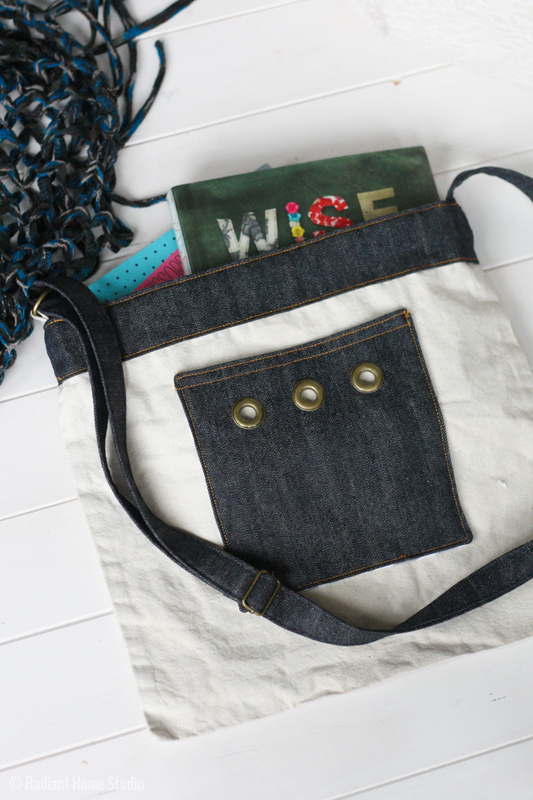 Here’s another tote bag upgrade tutorial! 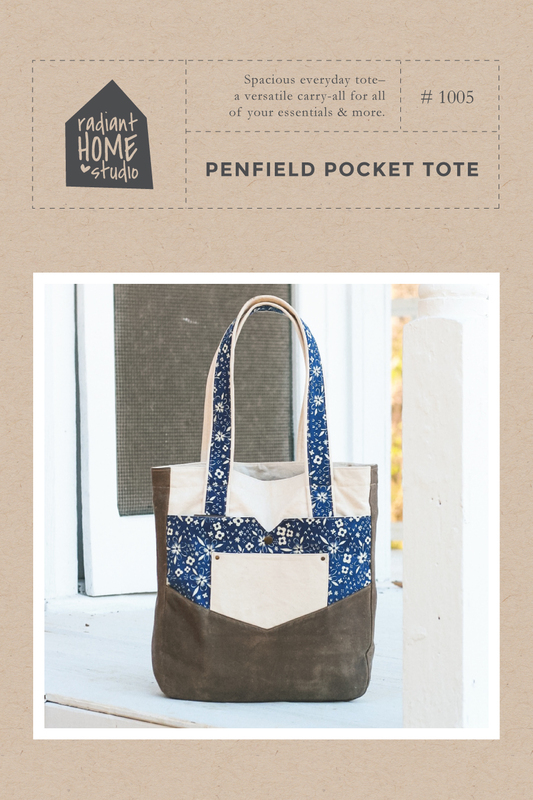 This one features a denim pocket with grommets and a sliding shoulder strap. 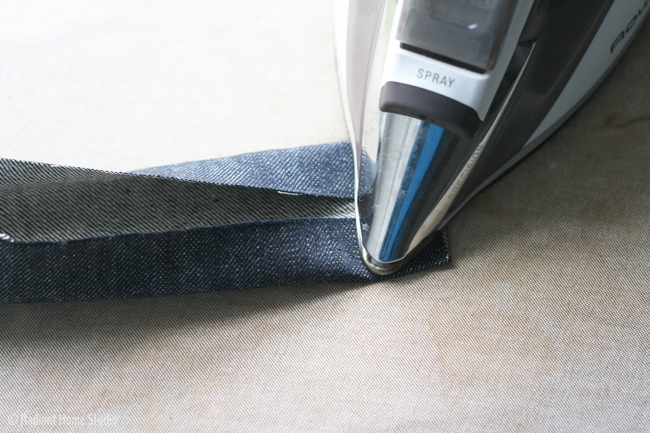 With all of the Birkin Flares and Ginger Jeans everyone is making, I figured a lot of people have denim scraps that need to be used. 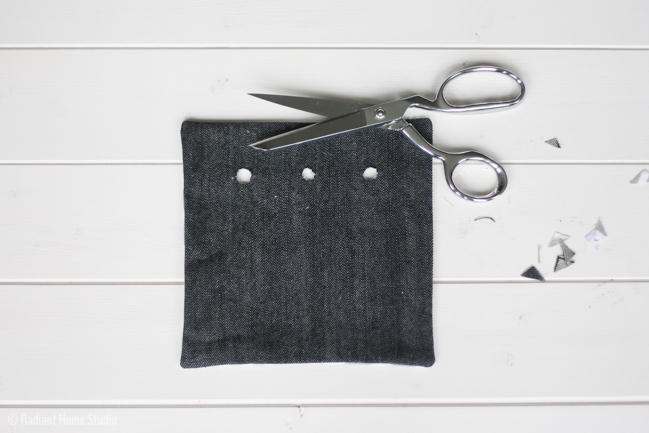 If you aren’t into making your own jeans, you can probably cut up an old pair of jeans to use for this tutorial. 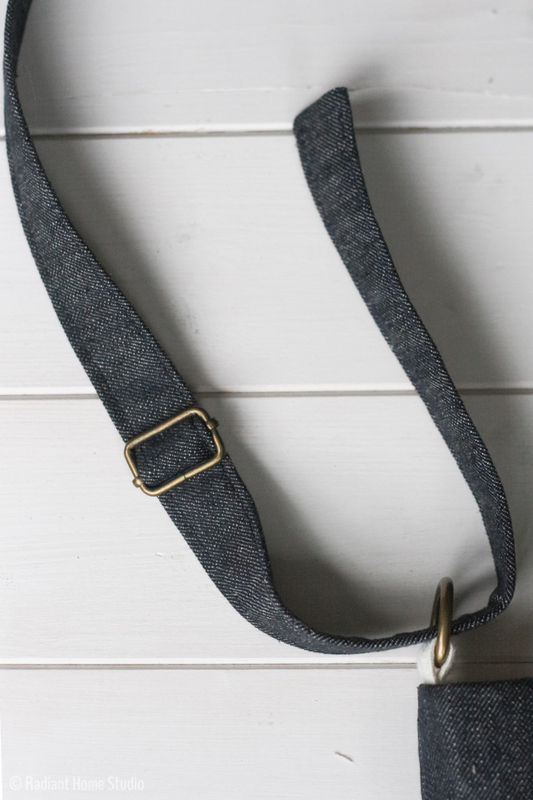 You might have to piece together the strap, but it would be a fun way to use up those hole-in-the-knee jeans you’ve been hoarding in your sewing closet “just in case” you want to make something with them. 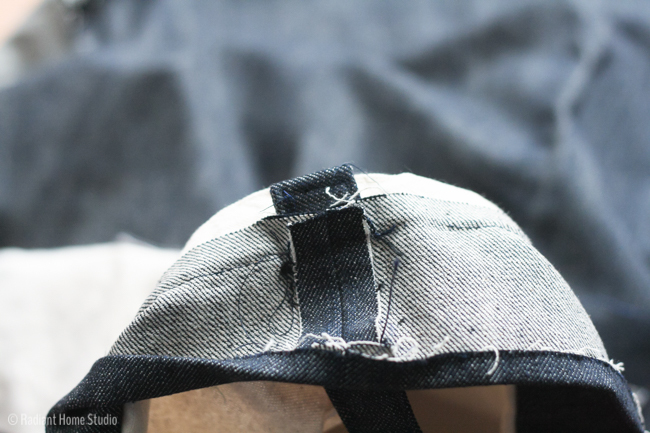 Both the pocket and the strap are really simple additions that only require straight stitching. 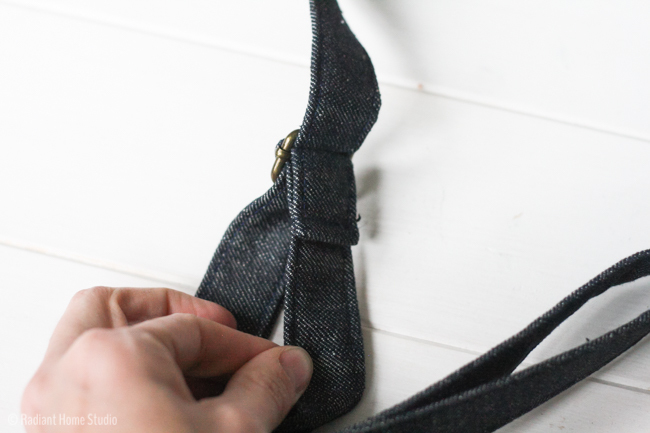 You can also use the strap and pocket tutorials separately, or mix and match them with other upgrade ideas I have shared. 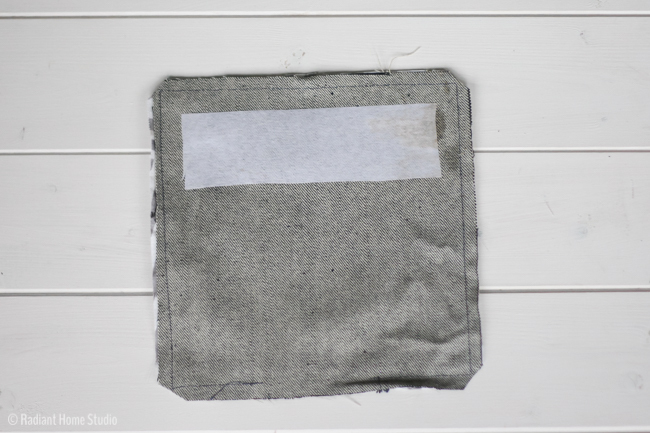 I used topstitching thread (practice for the jeans I’m planning to make next week…) but you can use whatever you have on hand. 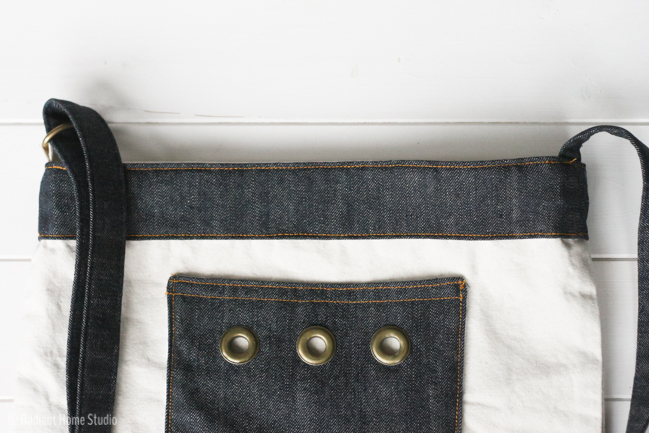 The grommet detail on the pocket is just for fun. 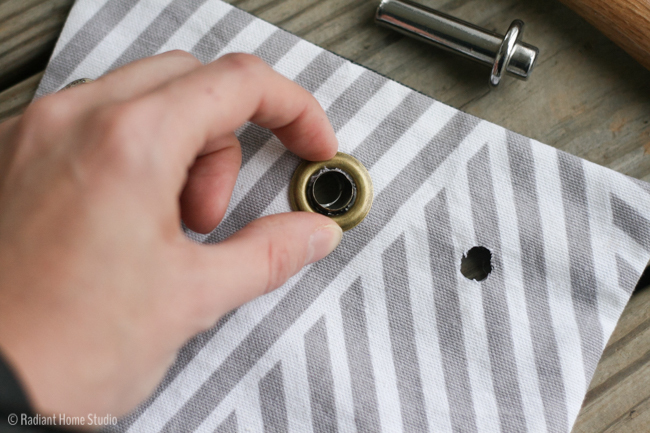 If you’ve been scared to try grommets, this is a low-risk way to experiment with them. 1. 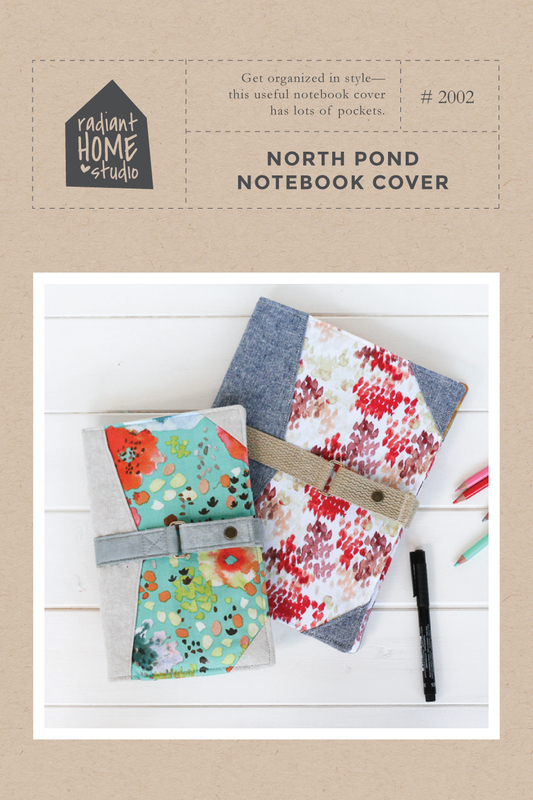 Place the 8″ square pocket pieces right sides together. 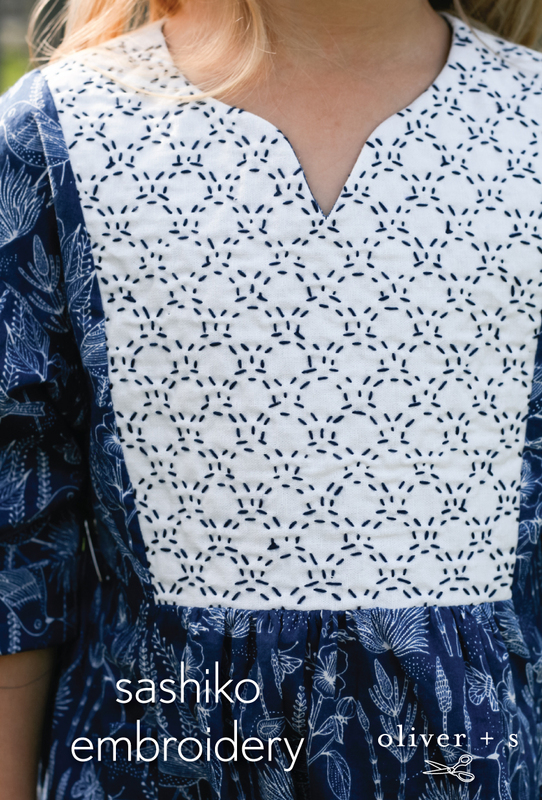 Stitch around the outside using a 1/4″ seam allowance, pivoting at the corners, and leaving a 3″ opening in one side. 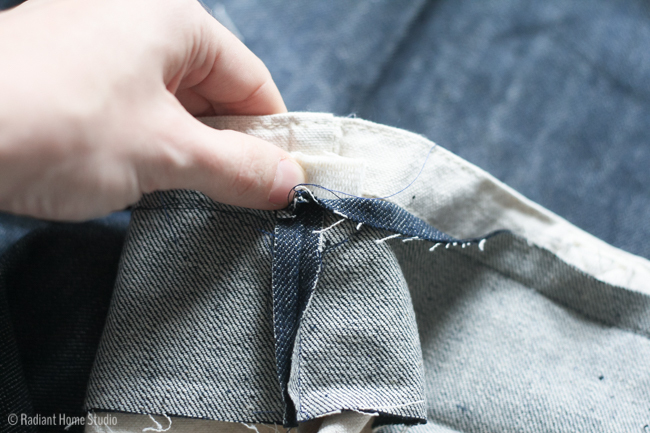 Fuse the strip of interfacing to the wrong side of the denim, centering it over the area where the grommets will be positioned, 1 1/2″ from the top edge. Trim the corners and turn right side out through the opening. Use a blunt pointed object ( I like to use a knitting needle) to push out the corners. 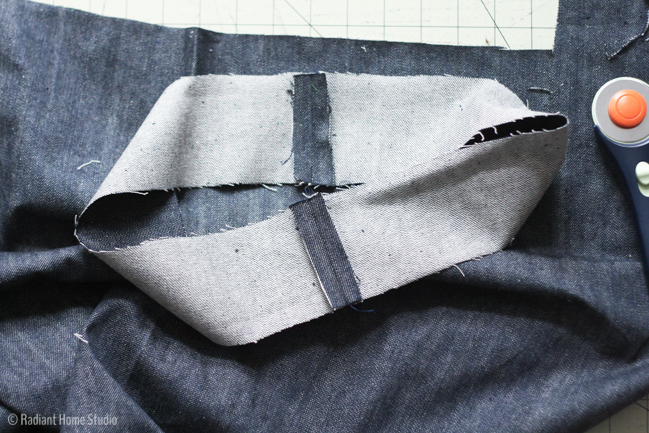 Press all of the seams and corners, tucking in the extra seam allowance at the opening to make the edge straight. 2. 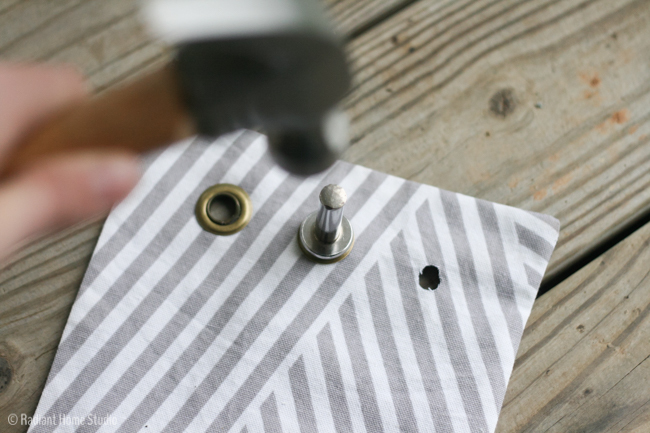 Mark the grommet holes using chalk or water-soluble marker. Fold the pocket in half to find the center. Mark the first hole at the center point and 1 1/2″ from the top edge. Mark the side grommets by folding each side to the center point and marking the hole halfway between the center grommet and the side at 1 1/2″ from the top edge. 3. Cut out a 3/8″ circle at each marking. I find that it is easiest to cut a plus sign and then work around, cutting out the excess. The circles do not have to be exact. 4. Apply the grommets to each hole. Place the stud through the front of the pocket, and place the flat side down on the anvil. 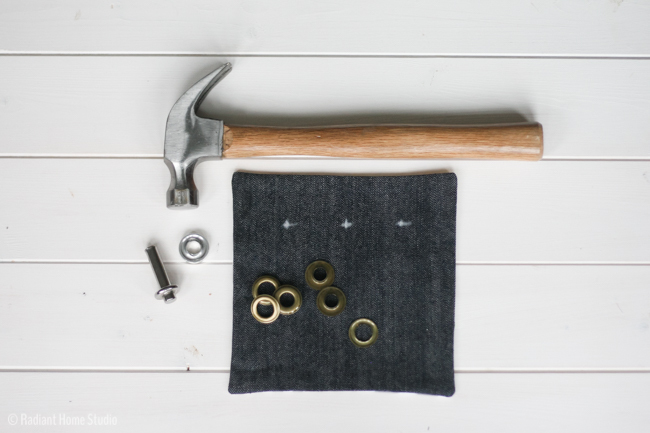 Place the washer over the stud, put the setter in place, and tap with a hammer several times. It’s best to do this step outside on a hard surface like concrete. 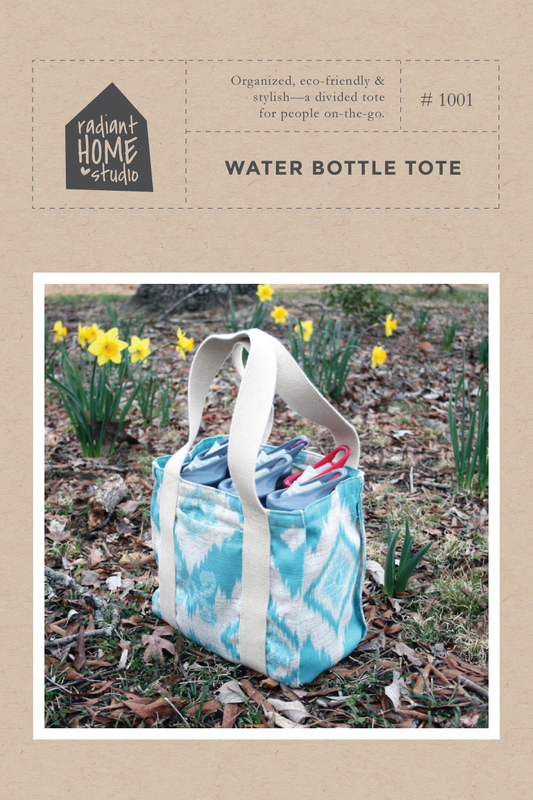 If you need more detailed directions, see my beach tote tutorial post. 5. Topstitch along the top edge of the pocket at 1/8″ and 3/8″. 6. 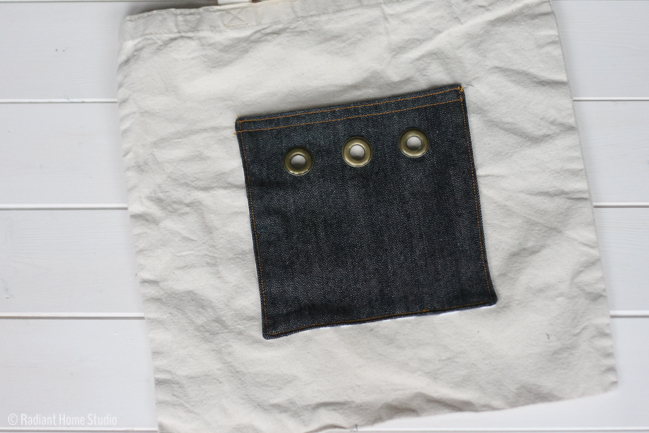 Place the pocket onto the tote bag about 4″ from the top edge and centered across the width of the bag. Secure it with pins. 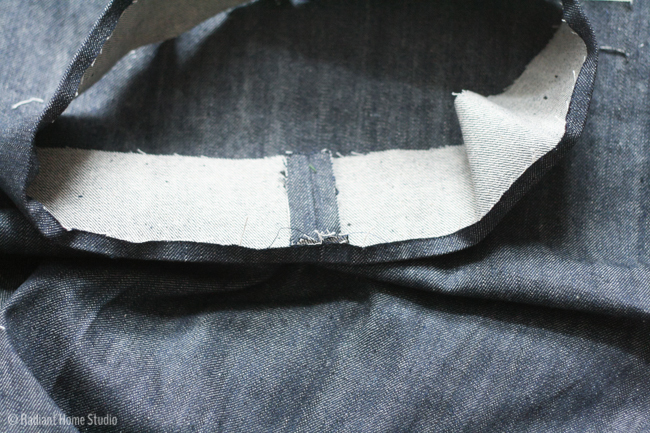 Topstitch around the side and bottom of the pocket edges, pivoting at the corners, and backstitching at the top. 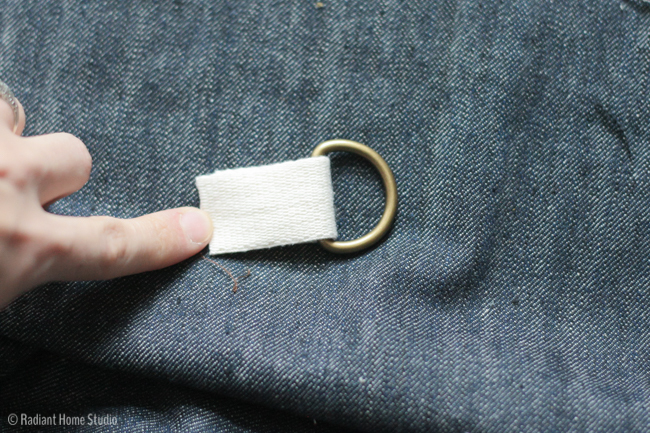 You’ll have to maneuver the fabric around under the presser foot which can be kind of tricky. 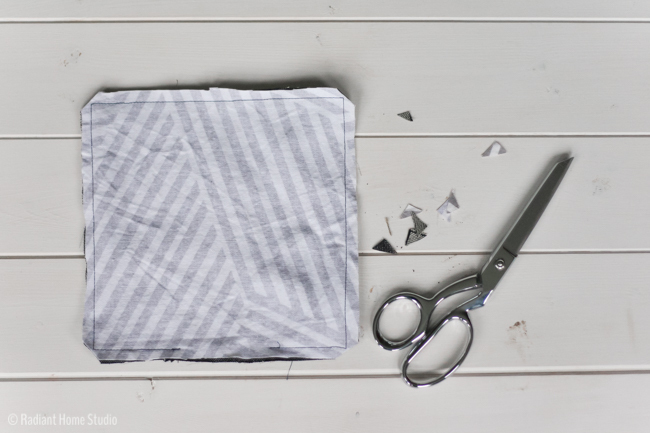 Just sew slowly and smooth out the part of the bag you are sewing as you go. The pocket is finished! 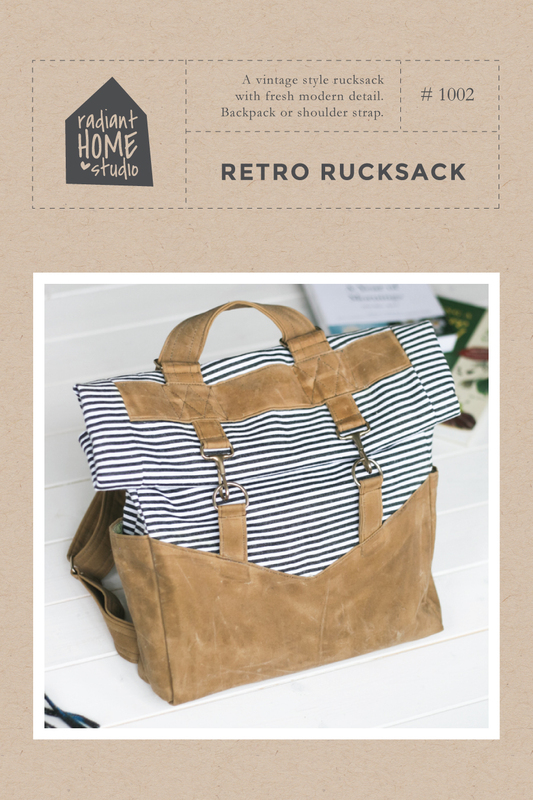 You can leave the bag as it is, or move on to the shoulder strap. 7. 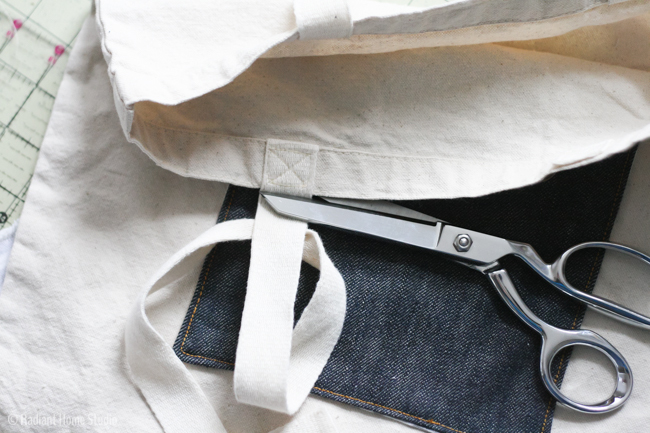 Cut off the original tote bag straps. 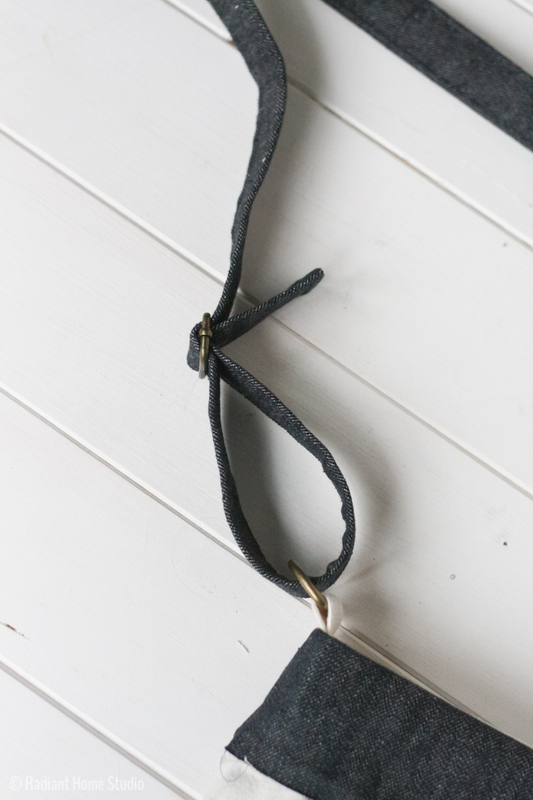 Use a 3″ piece of strap to create a loop around the D-ring. 8. Now create the strap. 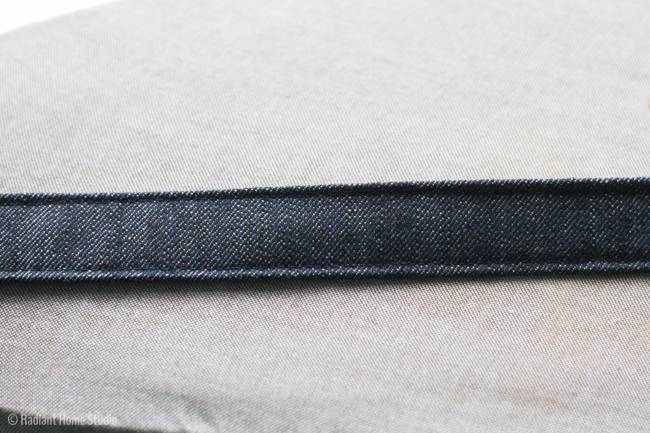 (If you are using a material that is lighter weight than denim, you’ll need to add some interfacing to the strap piece at this point.) 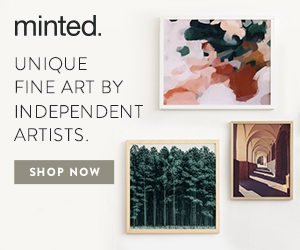 For the strap piece (60″ x 4″) in half lengthwise with wrong sides together and press. 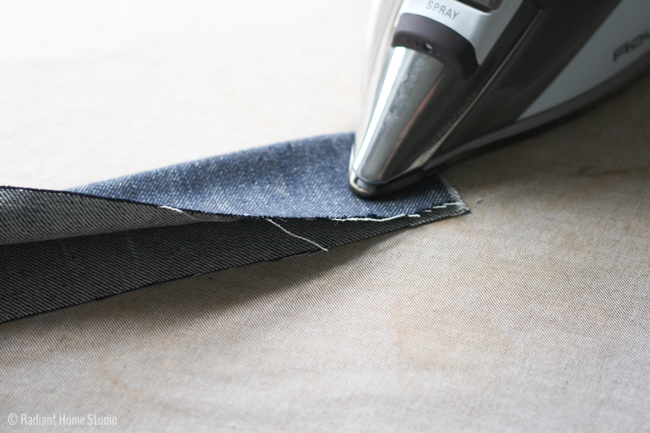 Fold the lengthwise raw edges in toward the center to meet the crease. Press again. You should have 4 even sections. 9. 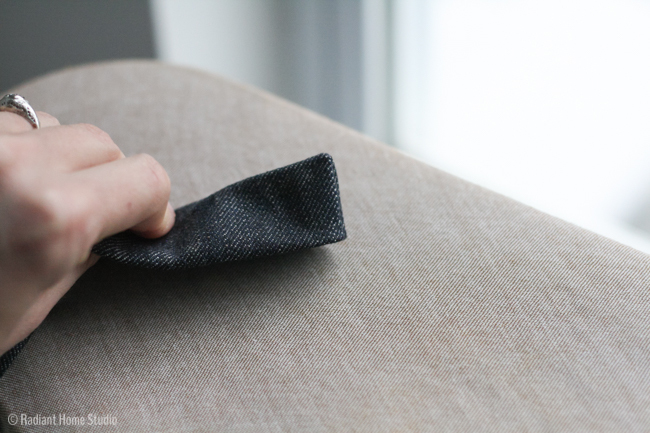 With the raw edges folded into the center crease, fold the center crease so that the right side of the fabric are facing. 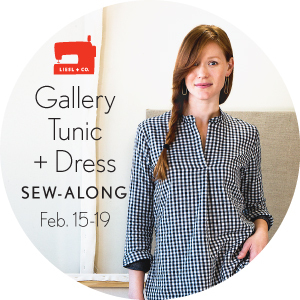 Stitch across one short end with 1/4″ seam allowance. Trim and turn right side out. Press. 10. 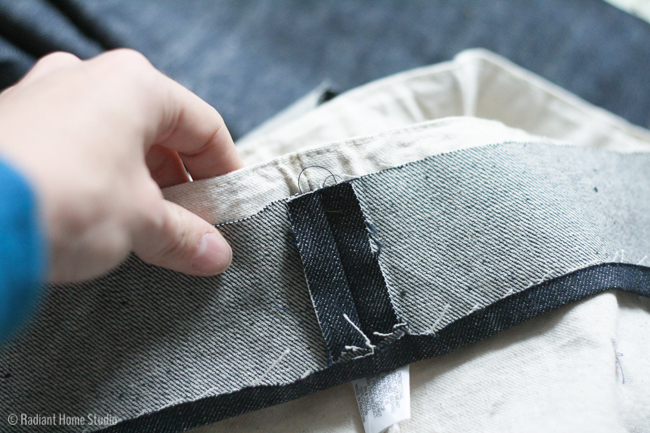 Finish the strap by topstitching the long edges. 11. Place the 3″ strips right sides together. 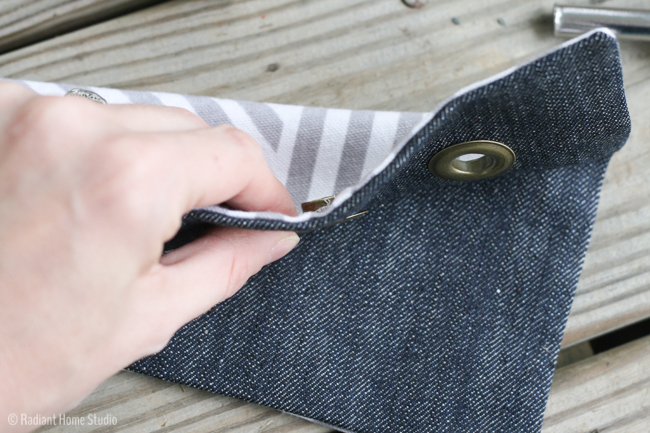 Stitch on each short end with a 1/2″ seam allowance, creating a loop. Press under 1/2″ on one of the raw edges. 12. 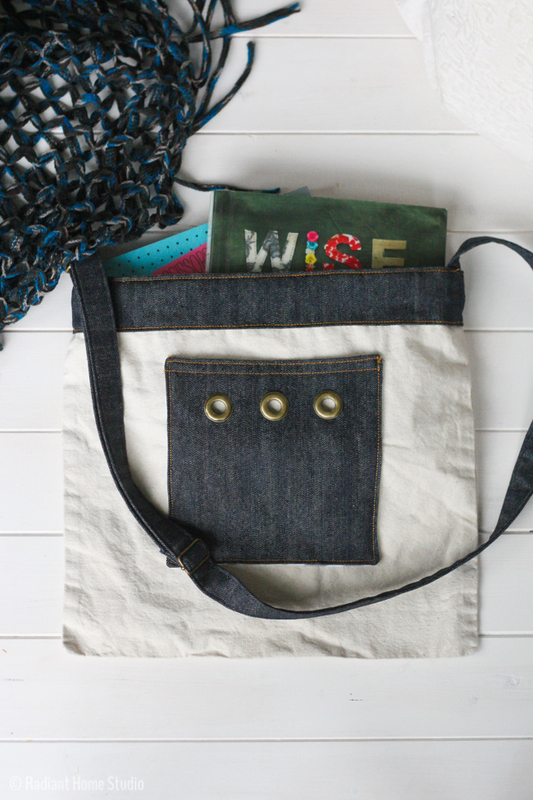 Turn the tote bag inside out. 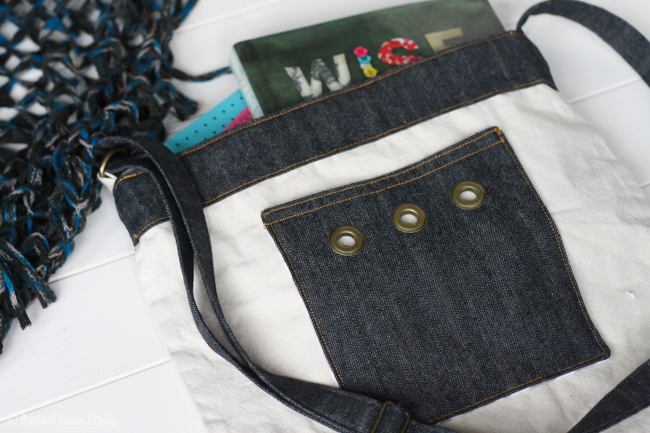 Place the 3″ loop around the tote bag with the right side of the strip to the wrong side of the bag. 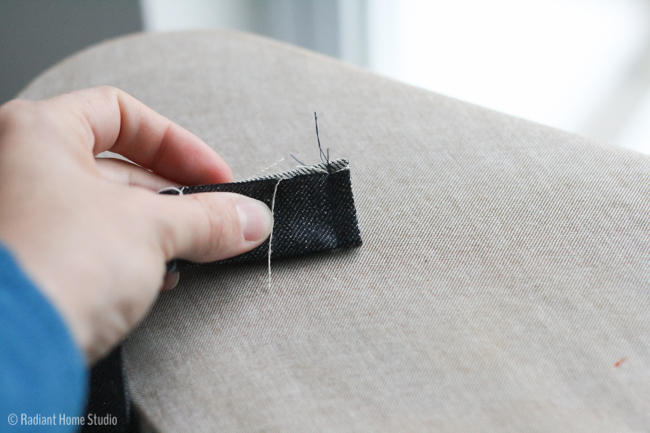 It’s best to sew under the pre-made hem, which is usually about an inch wide. 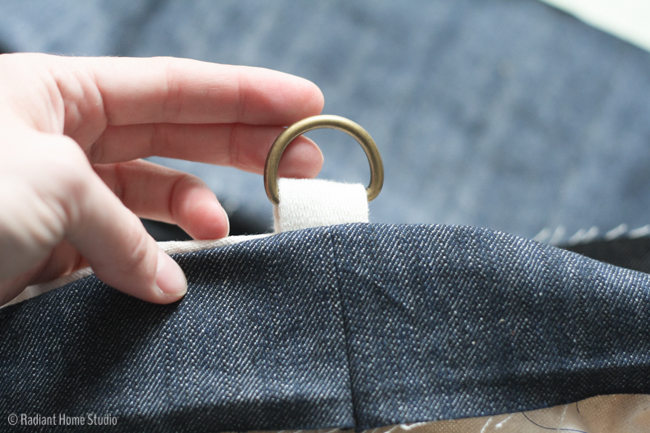 Line up the unfolded edge of the loop about 1/2″ below the top edge of the bag. At one side seam, insert the raw edge strap end. At the other side seam, insert the strap with the d-ring attached. 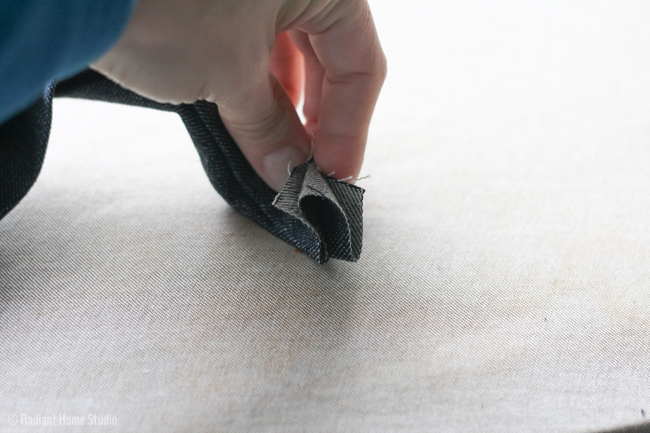 Stitch around the top of the bag, just below the original hem stitch (usually about 1″ from the top of the bag). 13. 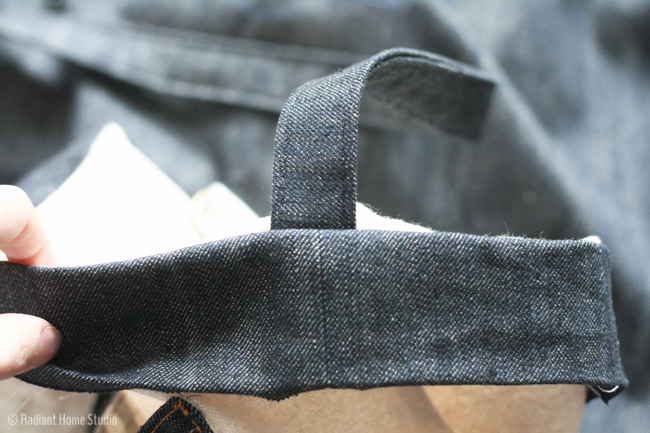 With the raw edge of the denim band folded under, topstitch both edges of the denim band all the way around the bag. 14. Thread the finished end of the strap through the strap slide and then through the D-ring (outside to inside). Thread the end back through the strap slide, under the first strap. Fold the finished end back on itself (about 1″) and stitch it down. 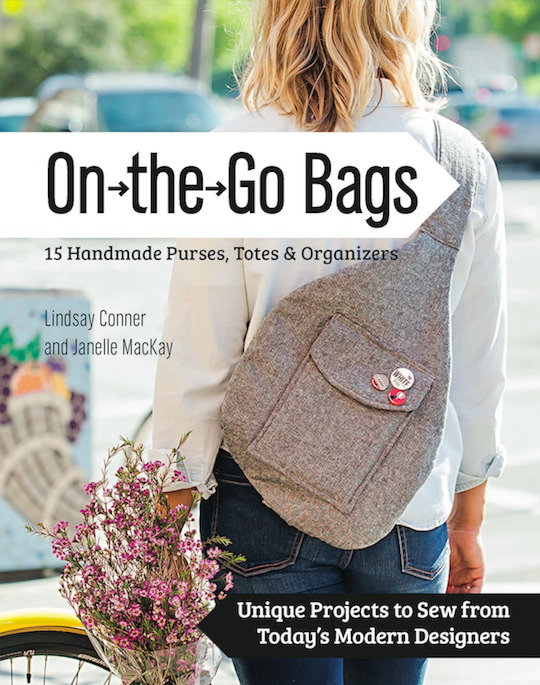 If you make a bag, I’d love to see it. Tag it with #totebagupgrade on Instagram! 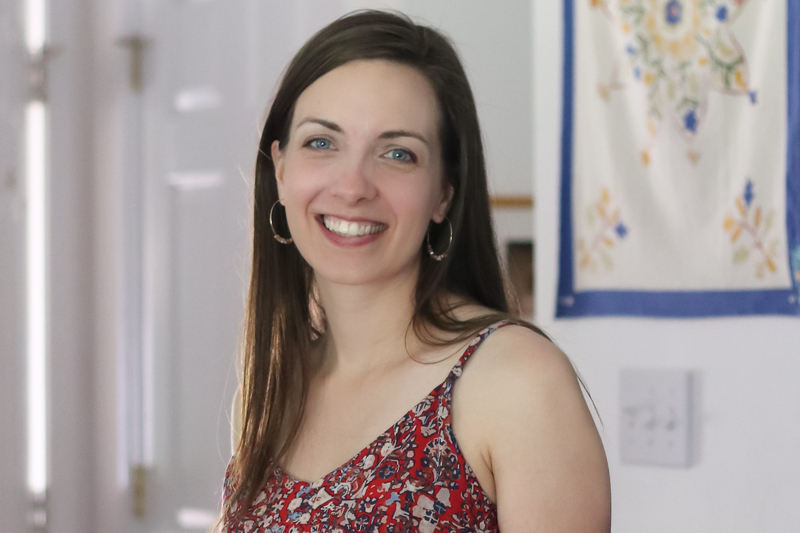 Oh my goodness – easy but such an upgrade! 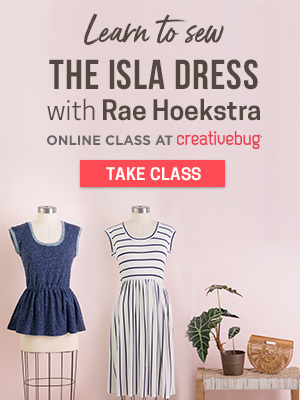 Pinned to my free patterns & tutorials pinterest board! Thanks Jamie! It’s amazing how a few simple rectangles can make such a difference, right? Wow! Love your detailed tutorial! Nice change to make a store bought tote bag look unique! Must try ASAP! 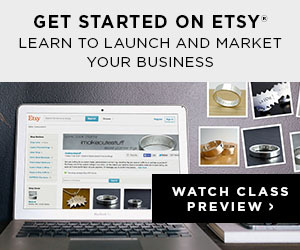 I’d love to have you come to my craft party and link this post up. The party is new Thursdays at 7pm EST. Have a fabulous week! I really like this upgrade. 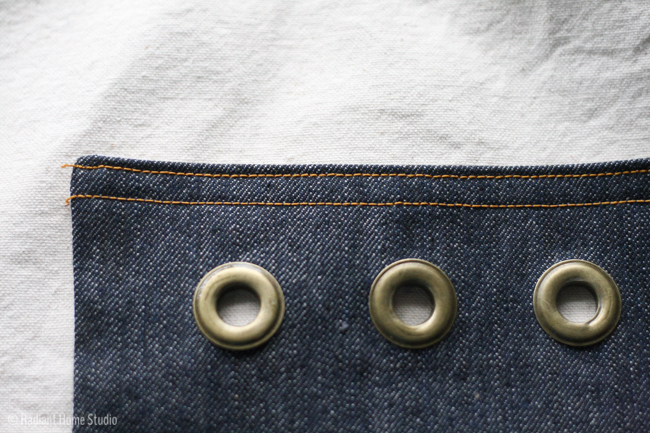 The denim and grommets a cool, yet casual detail. Tenho uma bolsa “encalhada” que dá pra fazer essa customização.